wreSTL supports youth wrestling in the St. Louis region by increasing awareness, access and participation in the sport. wreSTL will help youth reach their potential within their community through mentoring and sport. 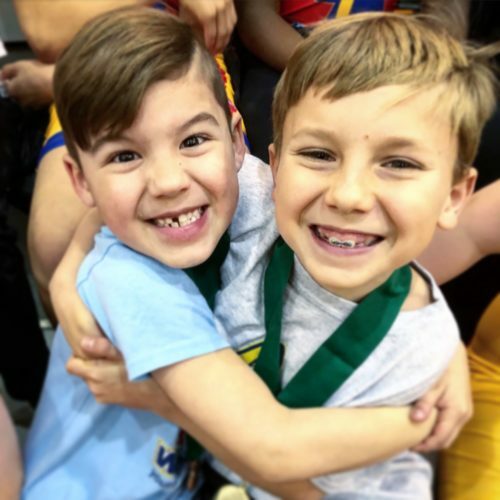 wreSTL provides outstanding opportunities for boys and girls 6 years old through 8th grade in St. Louis through quality wrestling instruction, mentorship from community members, and a club ownership model. Kids have a safe fun environment to explore the sport and reach their strongest human potential. Mondays & Wednesdays 6:00p-7:30p for 6-9 year olds. Tuesday & Thursday 6:00p-7:30p for 10-14 year olds. shoes (on loan), club t-shirt and USA Wrestling membership. Enrollment is ongoing. Schedule subject to change based on season. Please contact us to schedule a visit prior to enrollment.